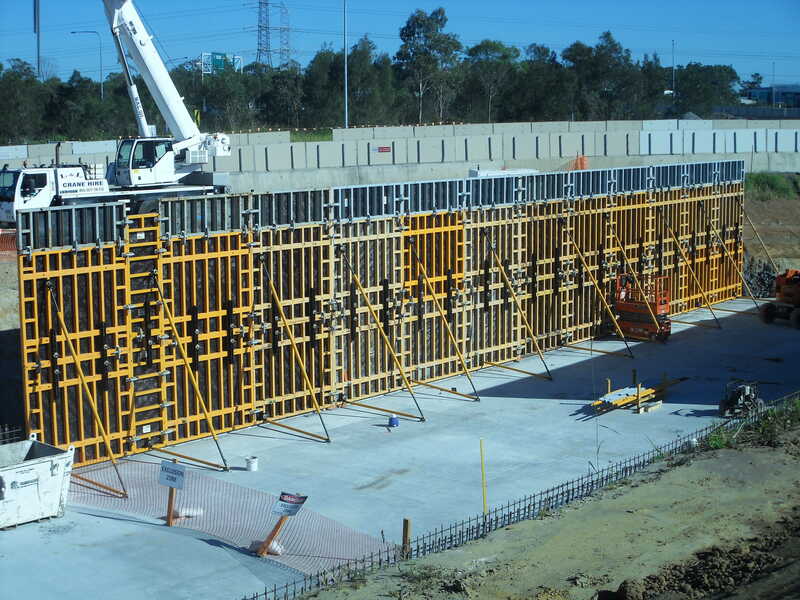 After the unrivaled success of the MK System for the Underpass #1 at the Gateway Motorway Southbound Busway Upgrade (GUSBUS) works, Uni-span were appointed to supply their proprietary ULMA Formwork systems to form the 60m long Underpass #2. 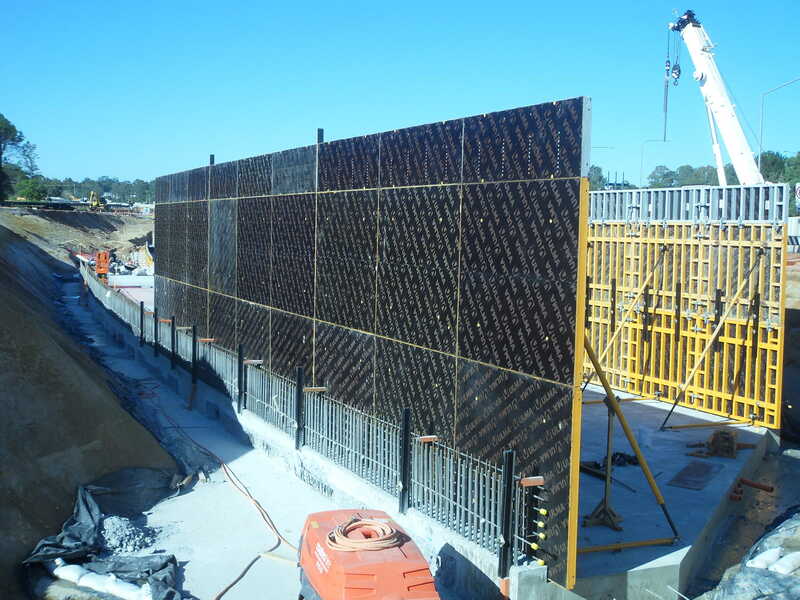 A cut and cover methodology was used, whereby the ORMA 80Kpa panel system was supplied for the bases and the 6.00m high walls. The twin wall tunnel is a curved structure. 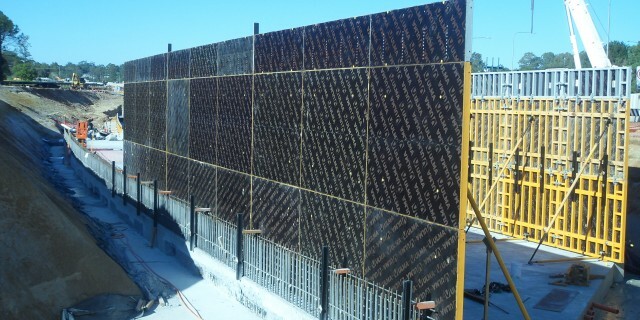 Uni-span achieved this curve by faceting the straight panels around the radius every 8.1m in length. 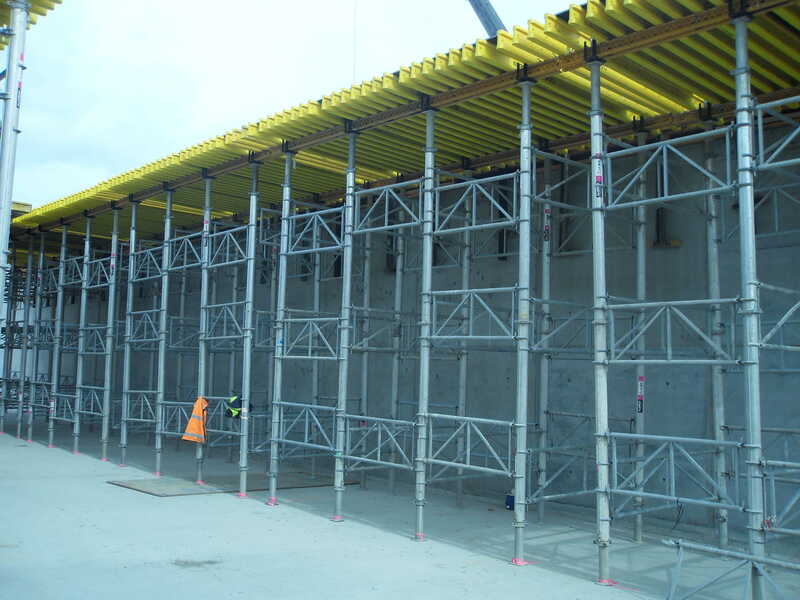 Minimal equipment was required in comparison to other solutions, as the ORMA base slab shutters were recycled into both the wall pours as well as the slab edges. 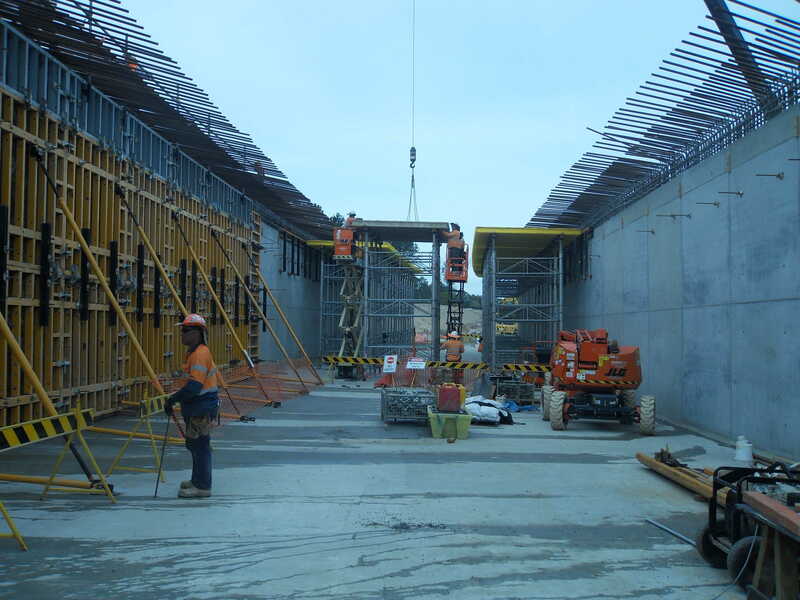 For the 600mm soffit, Uni-span supplied Aluprops with craneable table tops. This system was selected not only because it is extremely safe and lightweight, but also because Aluprops high capacity loads meant minimal components were required. 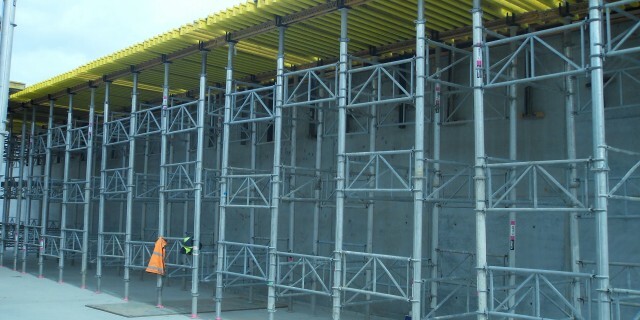 Being able to fabricate both the shoring towers and also the table tops, eliminated the requirement for a crash deck. 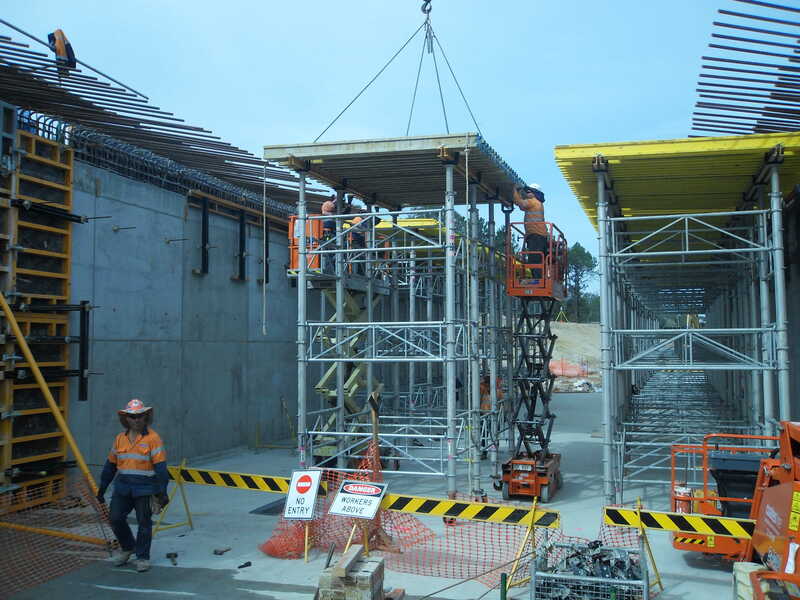 A 1.00m high falsework table was provided to fabricate the table tops at an ergonomic working height which allowed the 22m2 tops to be lifted directly into position onto the aluminium prop towers. The Aluprop high capacity props were built as towers and craned into position. 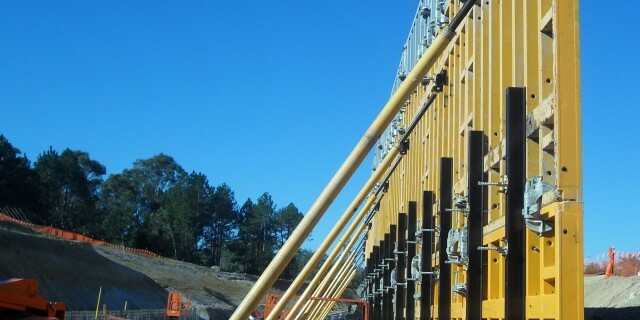 5 men assembled all 39 x 4 legged towers on a half day Saturday shift. All need to work above the deck was eliminated due to the creation of these 2 separate work areas. 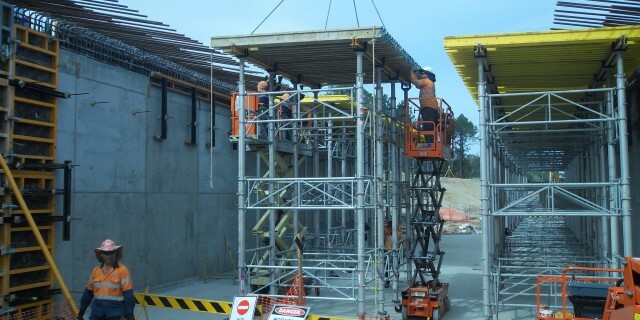 As the towers were finally assembled, lifting gear was disconnected from below with the use of scissor lifts. 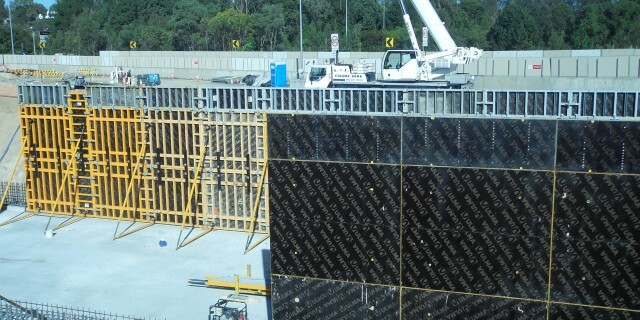 This process also enabled the second pour of the wall shutters to continue as there was no work area directly beneath. 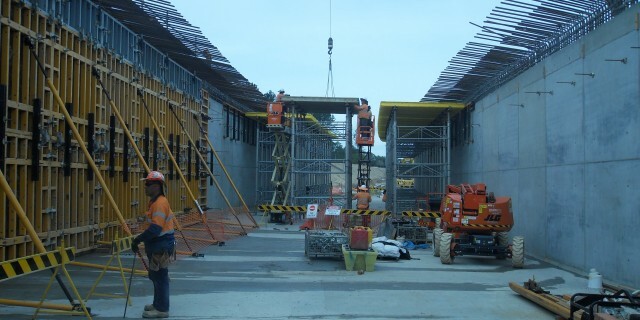 The final process was to connect a quick release wheel to the Aluprop legs that allowed safe transportation into position, ready for the reinforcement to commence. 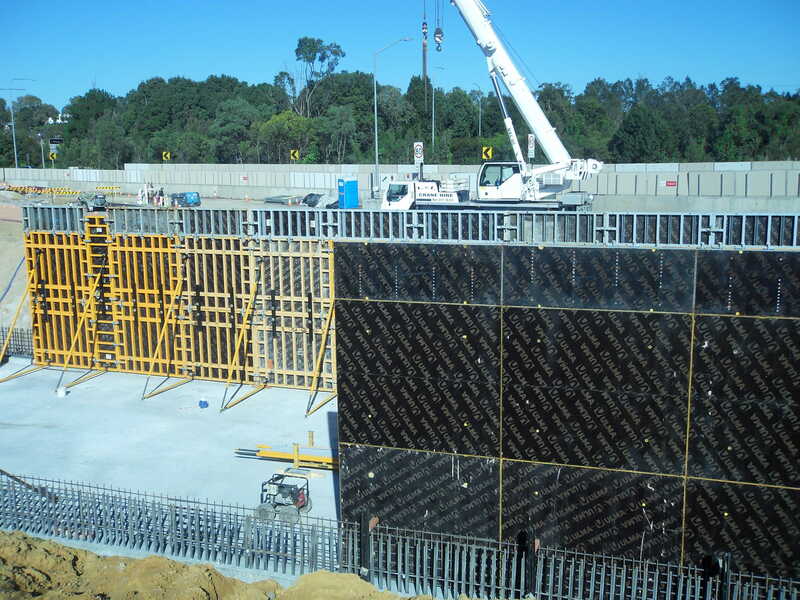 Uni-span offered a real solution that met the criteria of safety and speed. 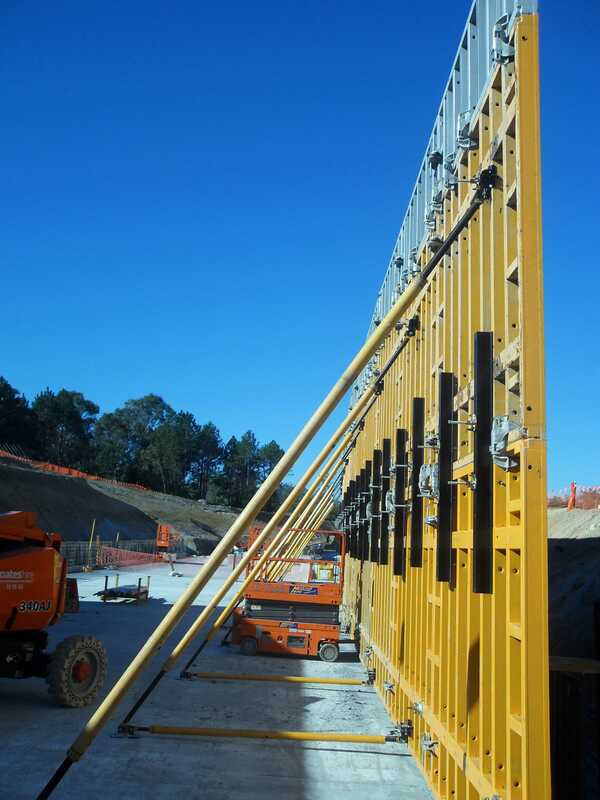 Production forecasts of labour were reduced and the finish achieved on both walls and the struck falsework exceeded the client’s specification. I am delighted with the Aluprop tower system and the speed it was built in, together with the achieved finish. 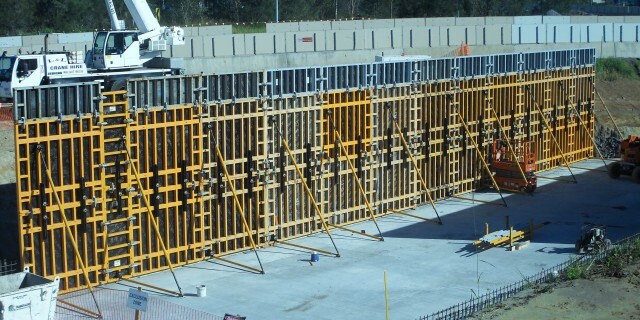 The great back up sales and technical service will ensure I look to re-use Uni-span on my next project.